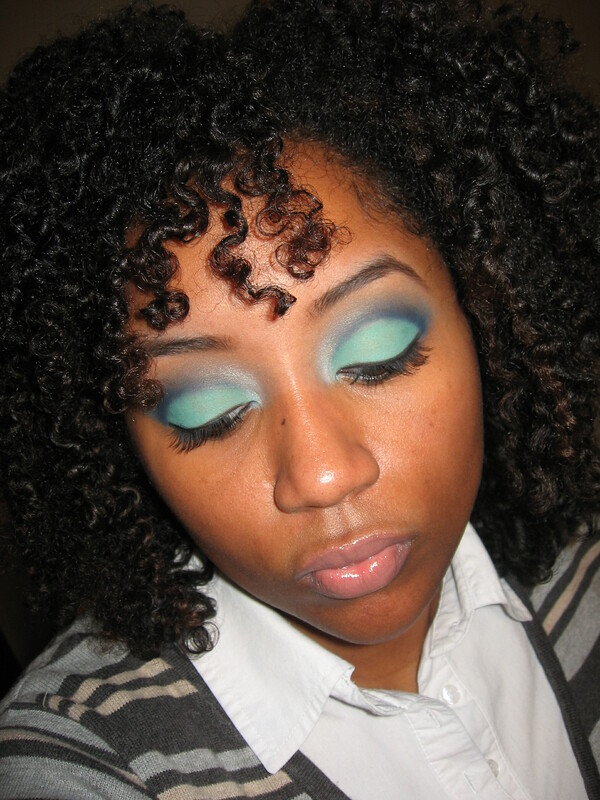 As the title indicates, this FOTD is a mashup of cool colors. 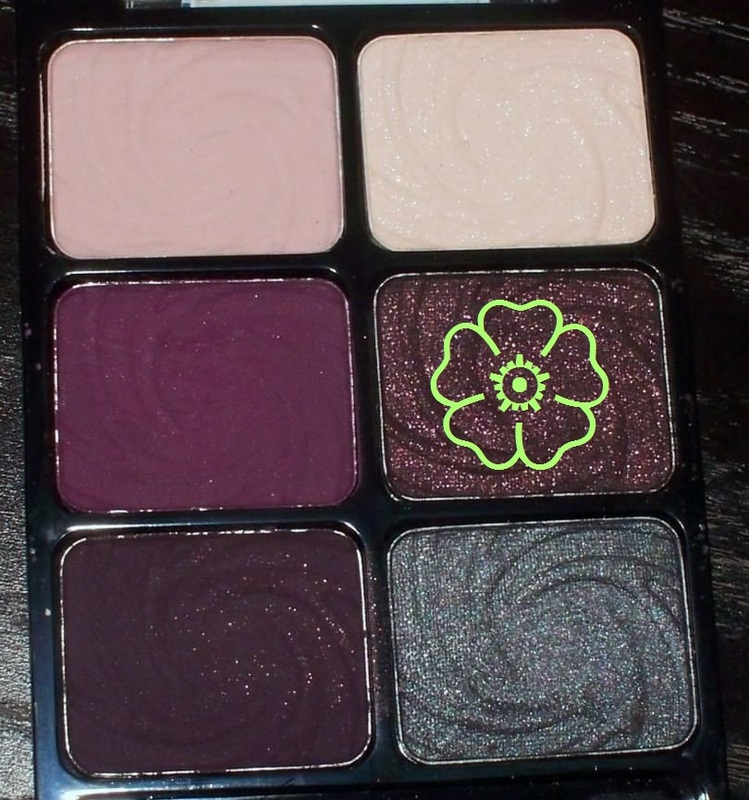 Remember my review of the Ruby Kisses HD gel eyeliner? Well, I went back to my local BSS & got the dark purple one. It’s called violet shimmer & I love it! I have no plans to do a formal review of this one, so just know that in my humble opinion, it’s the bee’s knees. If you’re looking for a muted purple eyeliner, I highly recommend it. ENJOY! 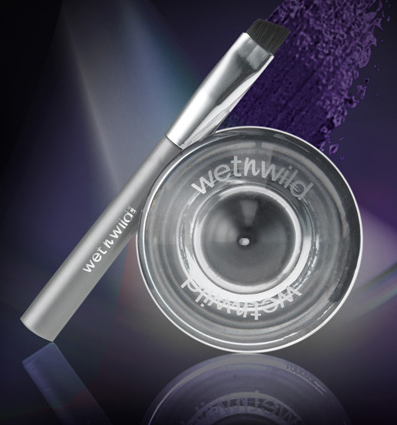 SHADOW: I applied a matte white e/s to the inner half of my lower eyelid. I blended that into cerulean blue (from the Black Radiance Retro Chic palette) on the outer v & matte navy blue (from the WNW Pride palette) in the crease. I used matte peach (from the WNW Lust palette) to highlight my browbone area. OTHER DETAILS… I used matte blackened purple e/s from the WNW Lust palette to fill in my eyebrows & L’Oreal Collagen Mascara in Blackest Black on my lashes. I defined my upper lashline & waterline using Ruby Kisses HD gel liner in Violet Shimmer. 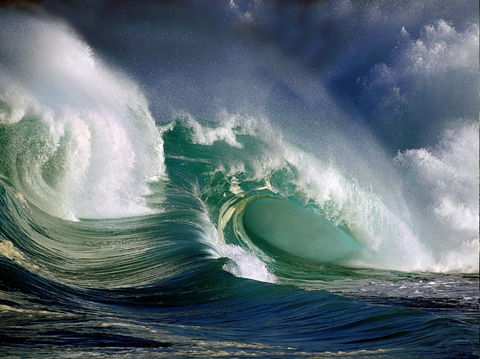 I traced a thin line below my waterline using Wet N Wild eyeliner pencil in Cool Green. 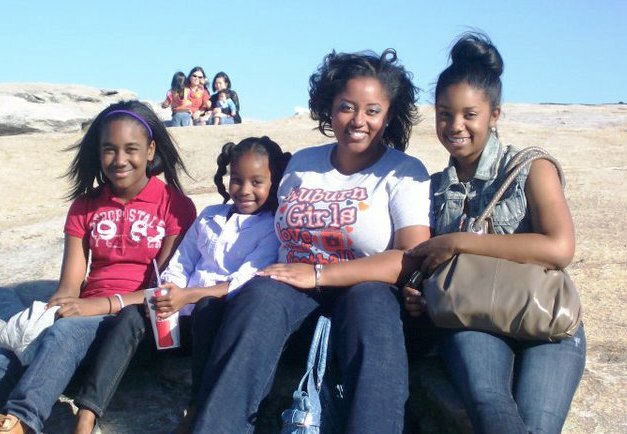 This pic of my cousins & I was taken about 2 years ago at Stone Mountain, Georgia during one of our legendary girl weekends. 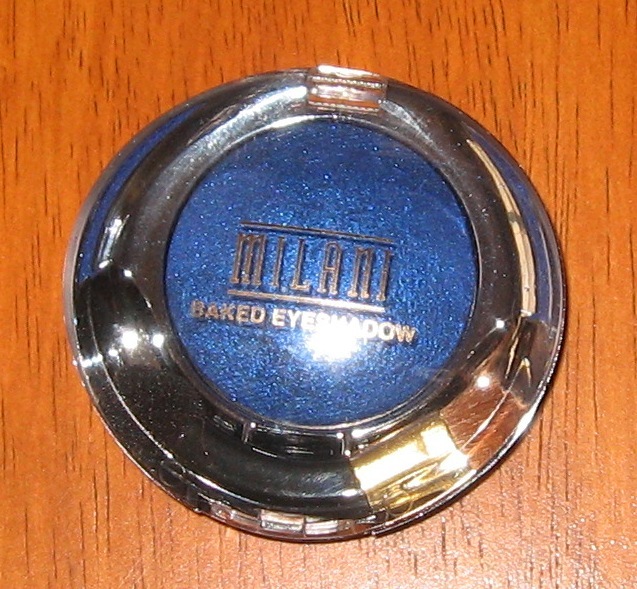 SHADOW: To coordinate with MiMi’s royal blue dress, I wanted to create a blue smoky eye. 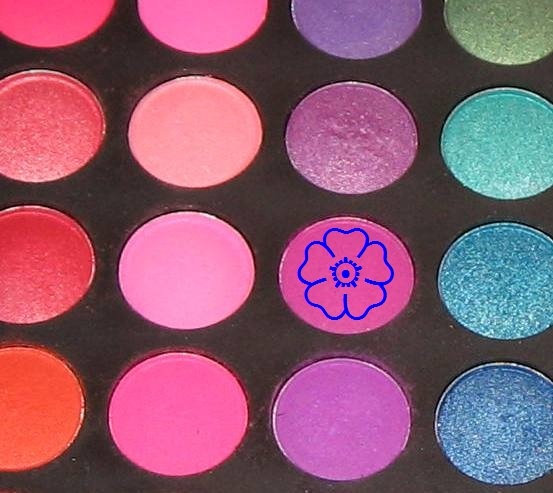 I started by applying Milani’s Blue My Mind e/s to the majority of her outer lower eyelid. 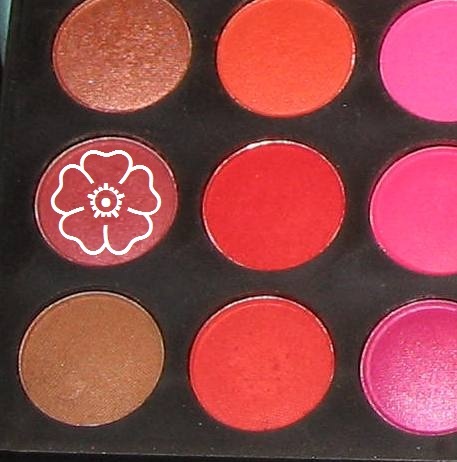 For a pop of color, I added matte, hot pink e/s (from the Shany 120 palette) to her inner corner. 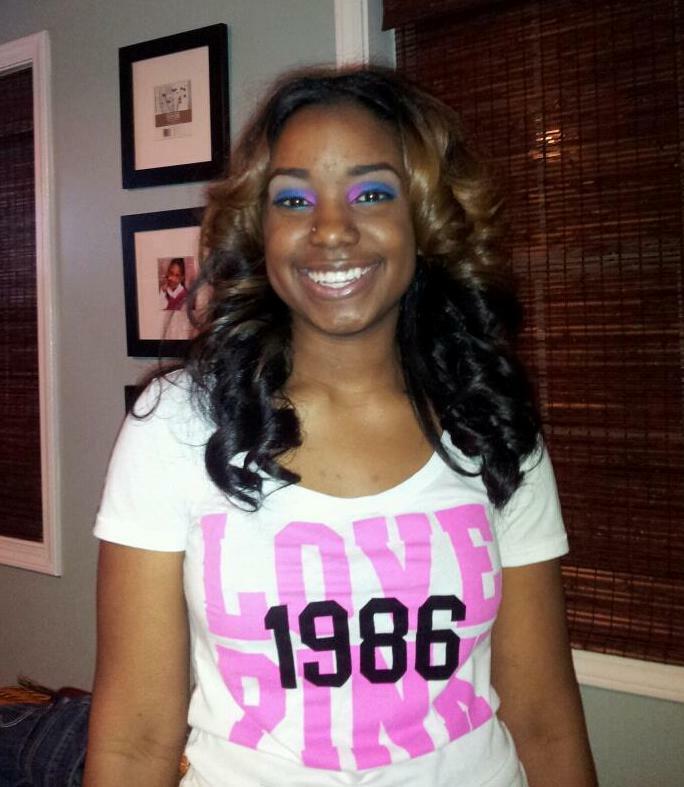 After blending that out, I used matte camel e/s (from the Wet N Wild Vanity palette) to cover her brow bone area. Then I went back in w/ my pencil brush & applied a frosty champagne colored e/s just below the arch of her eyebrow for added drama (@ her mother’s request, LOL). OTHER DETAILS… I used CoverGirl single e/s in Smolder to fill in Miahsje’s eyebrows & L’Oreal Collagen Mascara in Blackest Black on her lashes. I used Wet N Wild cream liner in black to define her upper lashline & Ruby Kisses HD gel liner in Teal Shimmer on her waterline. FACE: I primed her skin using Revlon Beyond Natural Smoothing Primer & applied a light dusting of Estee Lauder pressed powder in Deep. 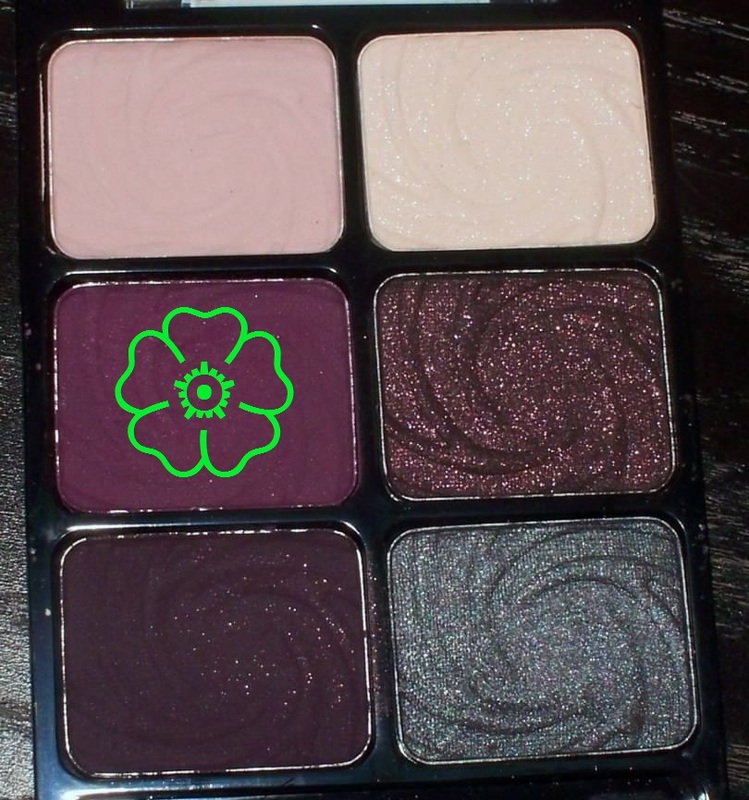 SHADOW: I applied matte green e/s (from the Wet N Wild Pride palette) over the my entire lower eyelid. 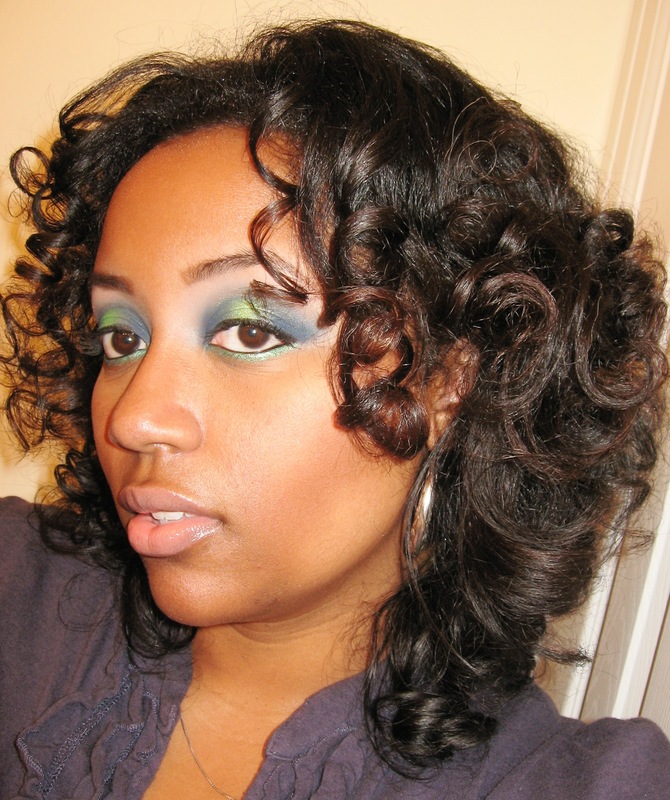 To create the cut crease, I used my pencil brush to draw a line of matte navy blue e/s along my crease (Pride palette). I highlighted my brow bone area w/ matte peach e/s (from the WNW Greed palette) & used my Sonia Kashuk large crease brush to blend the blue into the peach. 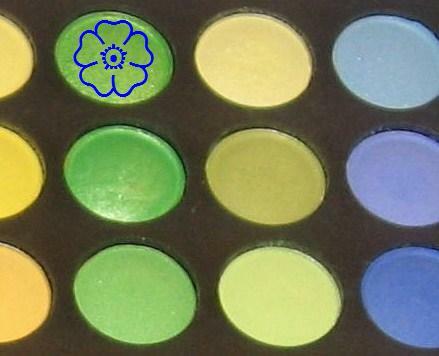 I used the sparkly white (Pride palette) to highlight the inner corner of my eyelids. 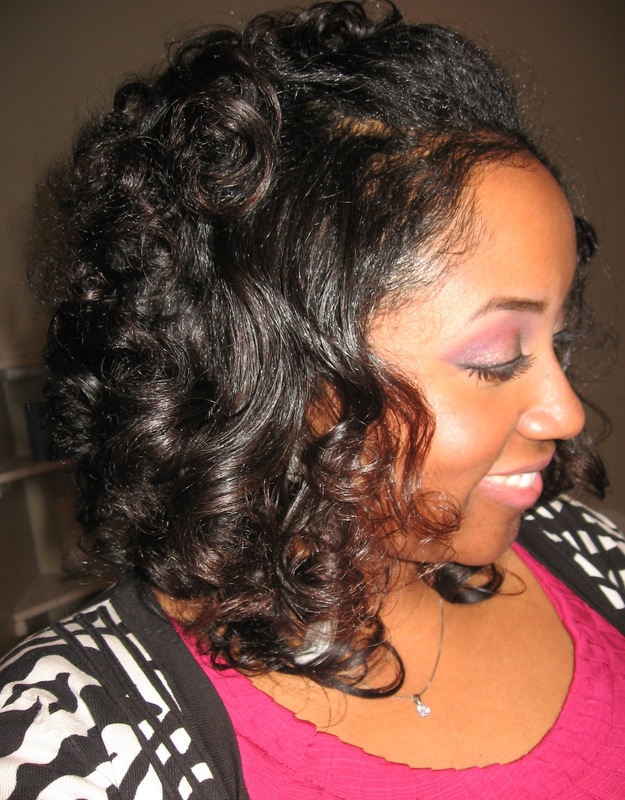 I washed, conditioned, detangled & air-dried my hair prior to twisting. 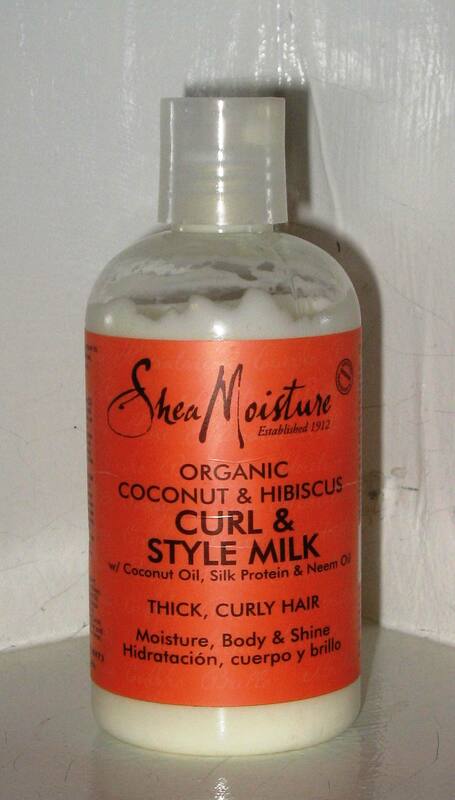 I made about 18 twists using Shea Moisture Coconut & Hibiscus Curl & Style Milk. These pics are of my 2nd day hair. To commemorate 92 years of service, scholarship, sisterly love & finer womanhood, I decided to to a royal blue & pure white FOTD. 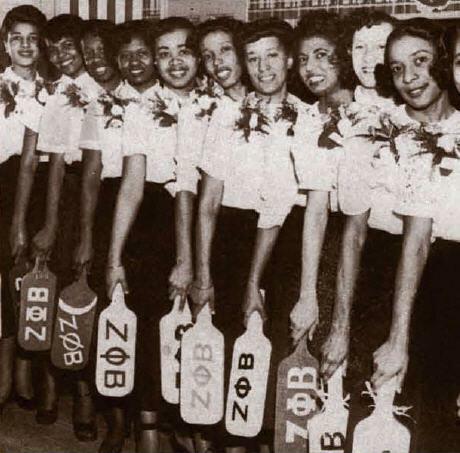 S/O to my sorors! 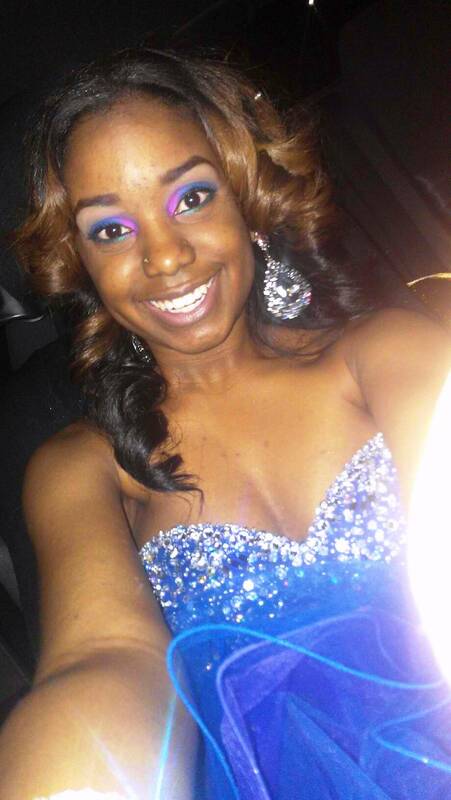 I hope you had a Zetalicious Founder’s Day! 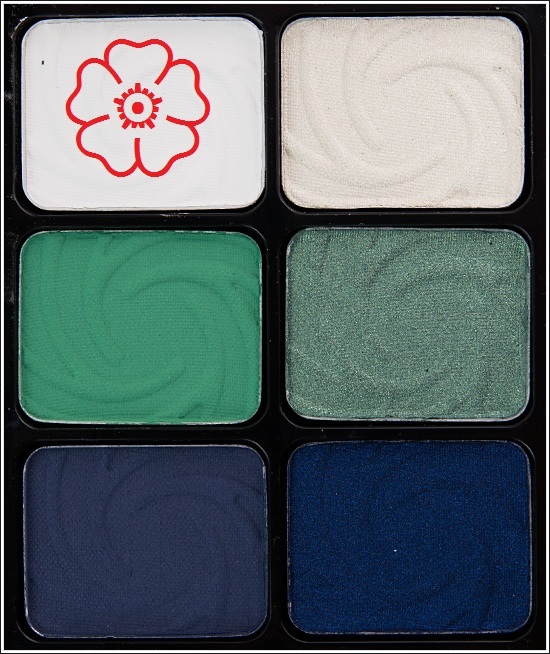 SHADOW: I applied matte white e/s (from the Wet N Wild Pride palette) to the innermost portion of my lower lid, stopping right before the outer v. Next I applied Milani Baked e/s in “Blue My Mind” to the outer v & blended that into the crease. 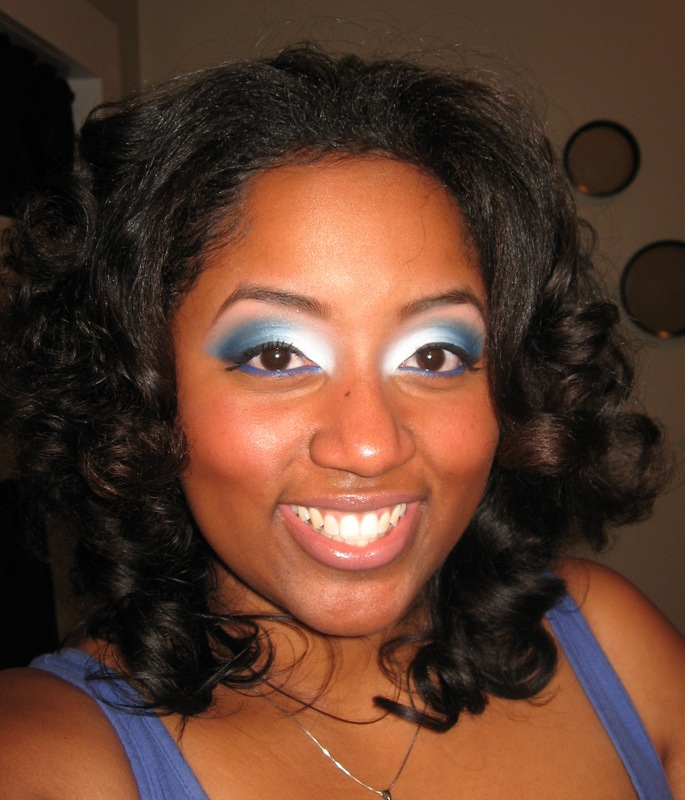 After that, I used both aqua & cerulean shades of blue from the Black Radiance Retro Chic palette to blend the royal blue into the white, creating the gradation effect. 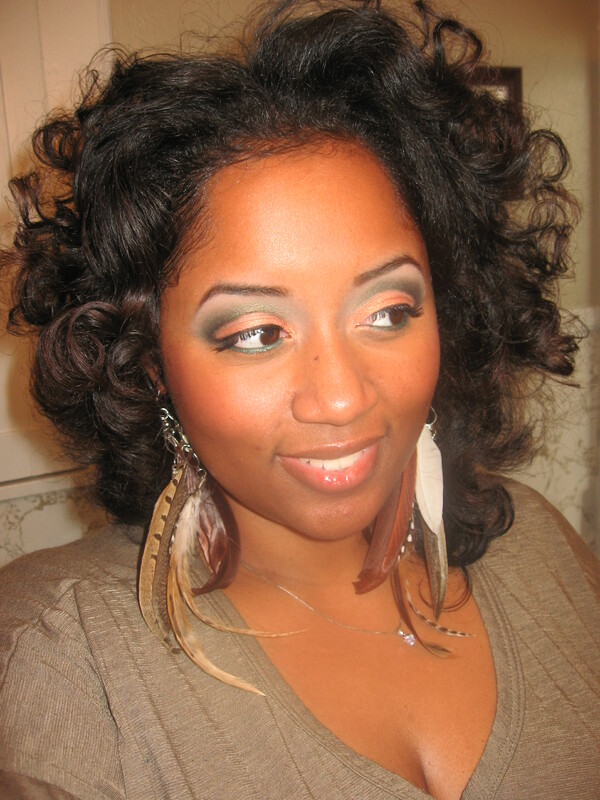 Then I used matte peach e/s (WNW Greed palette) to highlight my brow bone area. OTHER DETAILS… I used CoverGirl single e/s in Smolder to define my eyebrows & L’Oreal Collagen Mascara in Blackest Black on my eyelashes. I defined my upper lashline with Wet N Wild cream liner in black & my waterline with Sephora waterproof cream liner in The Deep End. 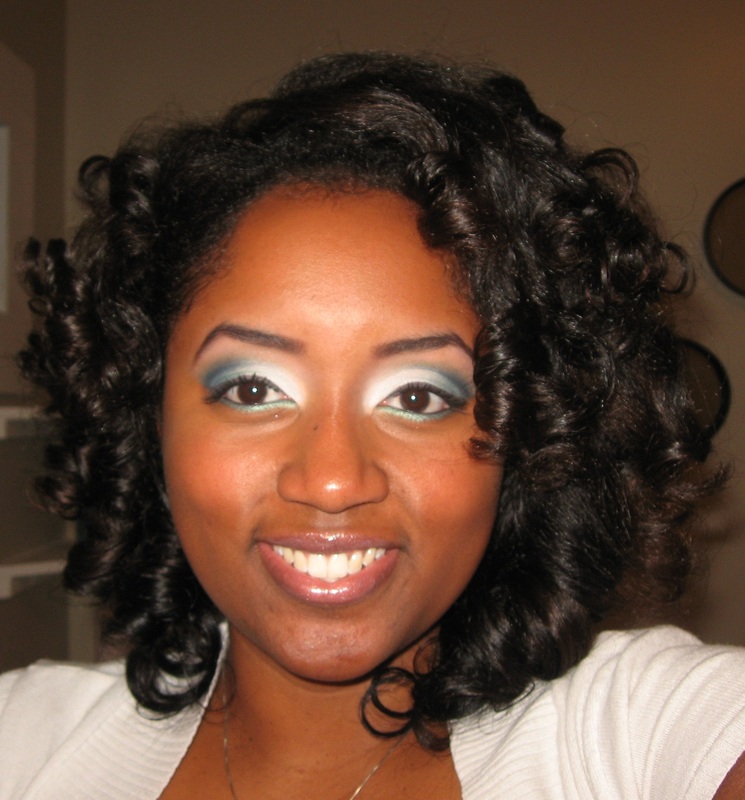 I also used Black Radiance Complexion Perfection Undereye Concealer (in CA8010 for light to medium complexions). 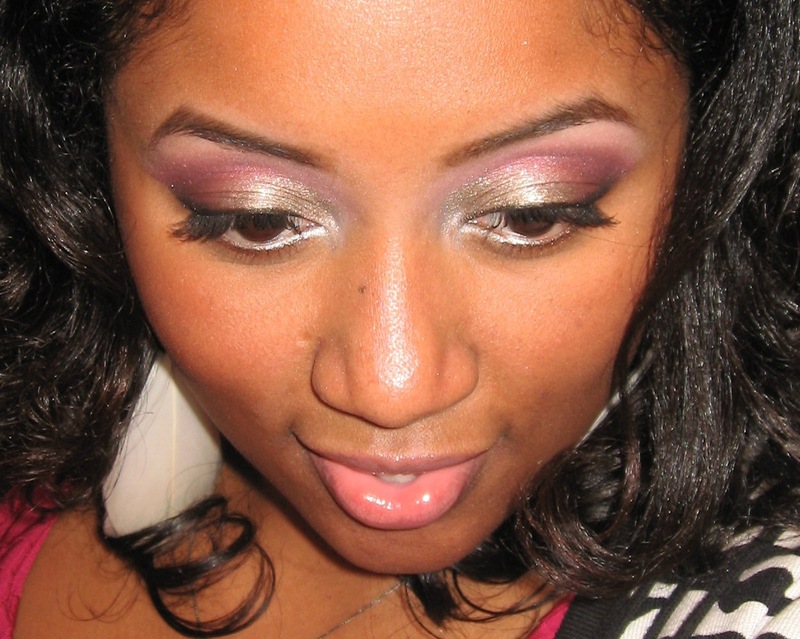 SHADOW: I applied matte pinkish-burgundy e/s (from the Shany 120 palette) to my crease, using my Sonia Kashuk crease brush & used sparkly, blackened purple e/s (from the Wet N Wild Lust palette) to deepen my outer v. Then I used matte peach e/s (from the Wet N Wild Greed palette) to highlight my brow bone. 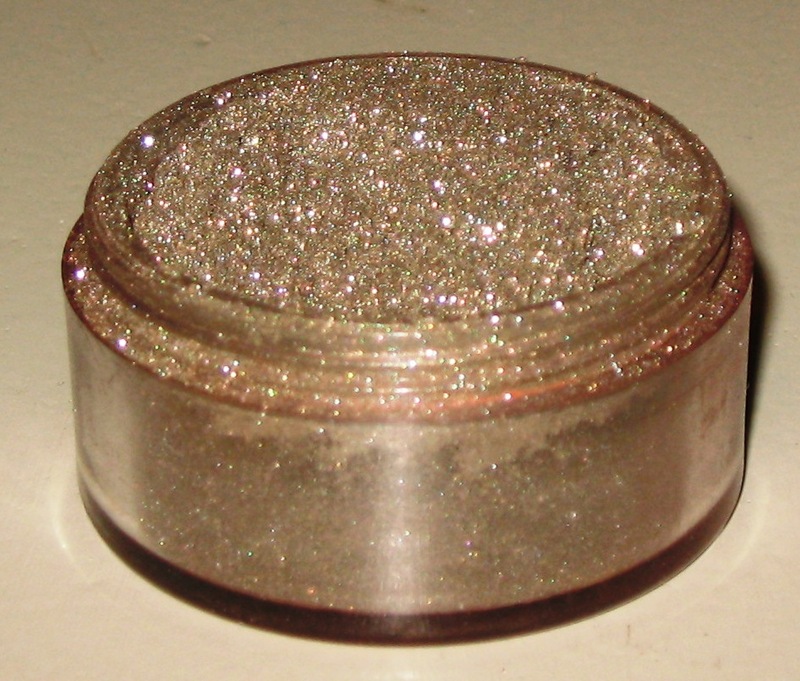 I used a flat brush to pat this pewter-ish glitter dust onto my lower eyelid. 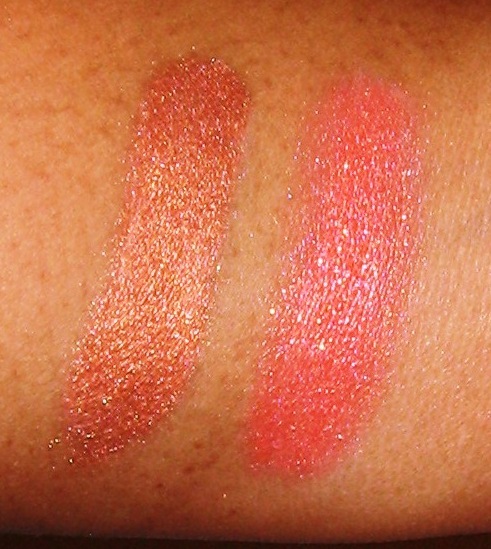 I’m 87.3% sure that it’s one of the LA Splash Diamond Dusts, but I don’t know which one. See I broke the original jar ages ago & transferred it to this generic container, so there’s no label. So let’s just call it “moondust” LOL! OTHER DETAILS… I used Wet N Wild Arch Envy brow wax & CoverGirl single e/s in Smolder to define my eyebrows & L’Oreal Collagen Mascara in Blackest Black on my eyelashes. I defined my upper lashline with Wet N Wild cream liner in black & my waterline with Ulta glitter eyeliner pencil in Silver. 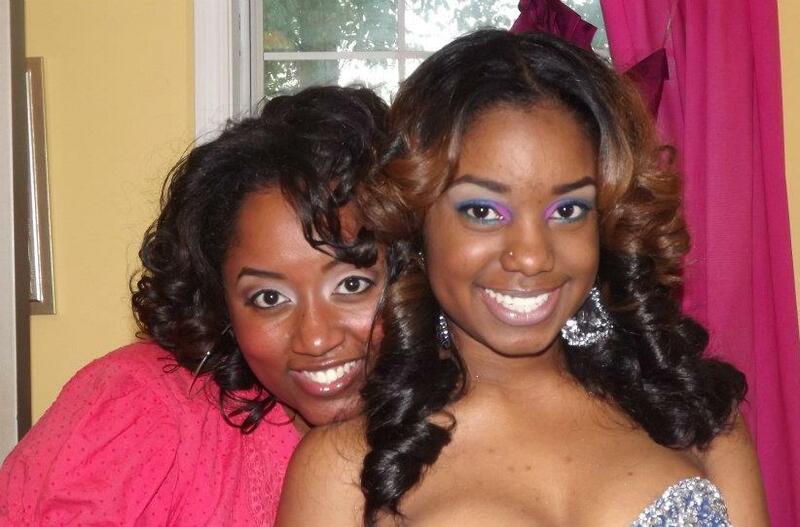 I also used Black Radiance Complexion Perfection Undereye Concealer (in CA8010for light to medium complexions). 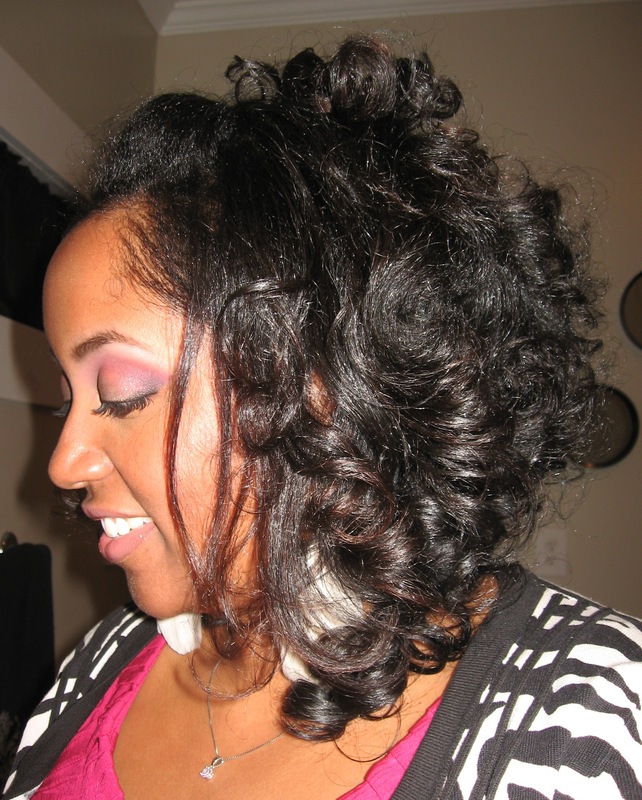 Did you get glammed up this weekend? What’d you do to celebrate the new year? 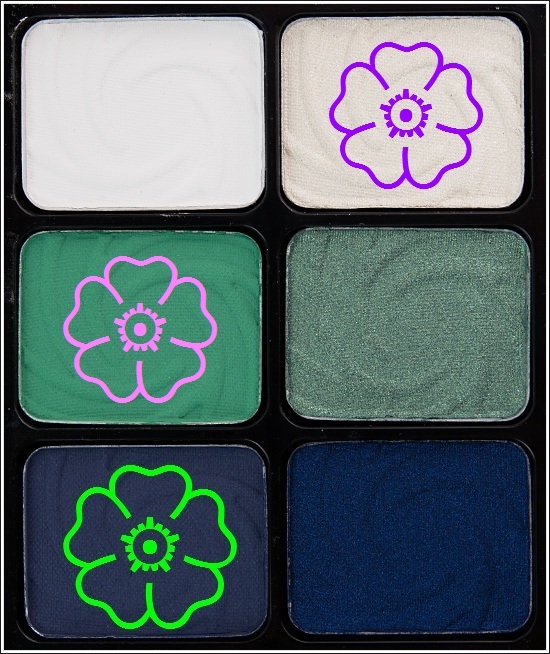 Ahhh… as fun as that was, I know you didn’t come here to reminisce, so let’s talk about makeup! 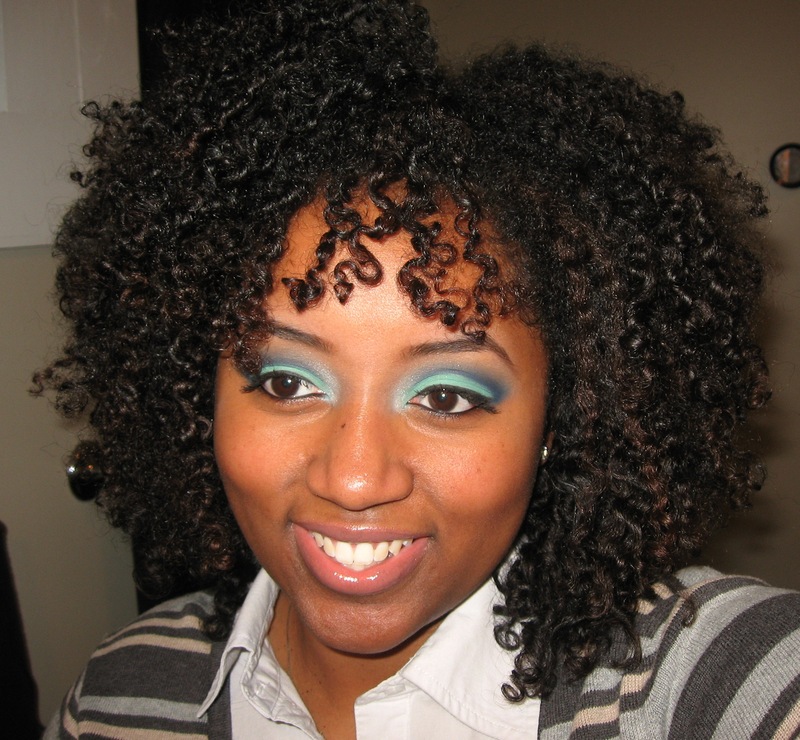 🙂 For this look I used NYX Cosmetics Ultra Pearl Mania in Orange Zest Pearl… NOT to be confused with Orange Pearl (see Thanksgiving FOTD). They appear similar but Orange Pearl (left) is a coppery, metallic orange, whereas Orange Zest is (right) a peachy orange speckled w/ gold glitter. Orange Zest is very sparkly w/ TONS of glitter fallout. The fallout doesn’t bother me enough not to wear it, but if you’re wearing a full face that day (concealer, foundation, etc. 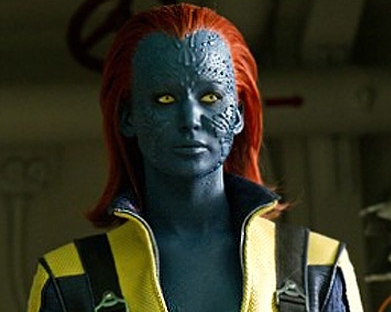 ), you might wanna do your eyes first. NOTE: Milk was used as a base for these swatches, but they are extremely pigmented, so any flesh-colored base would work just as well. 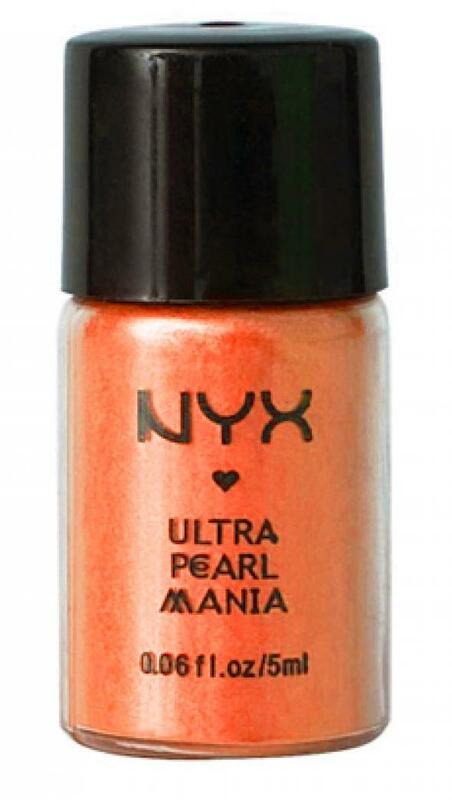 SHADOW: I covered my entire lower eyelid in NYX Ultra Pearl Mania in Orange Zest Pearl. I used my crease brush to apply matte fuchsia e/s to the crease & blended that upwards into matte peach e/s (Wet N Wild Greed palette). Finally I used matte plum purple e/s (from the Wet N Wild Lust palette) to deepen my outer v.
OTHER DETAILS… I used Wet N Wild Arch Envy brow wax & CoverGirl single e/s in Smolder to define my eyebrows & Maybelline Volume Express “Falsies” Mascara in Blackest Black on my eyelashes. 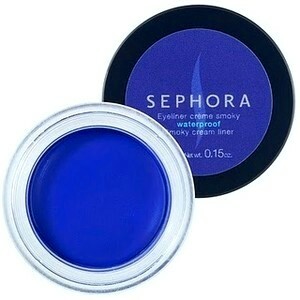 I defined my upper lashline & waterline with”The Deep End” waterproof cream liner by Sephora. 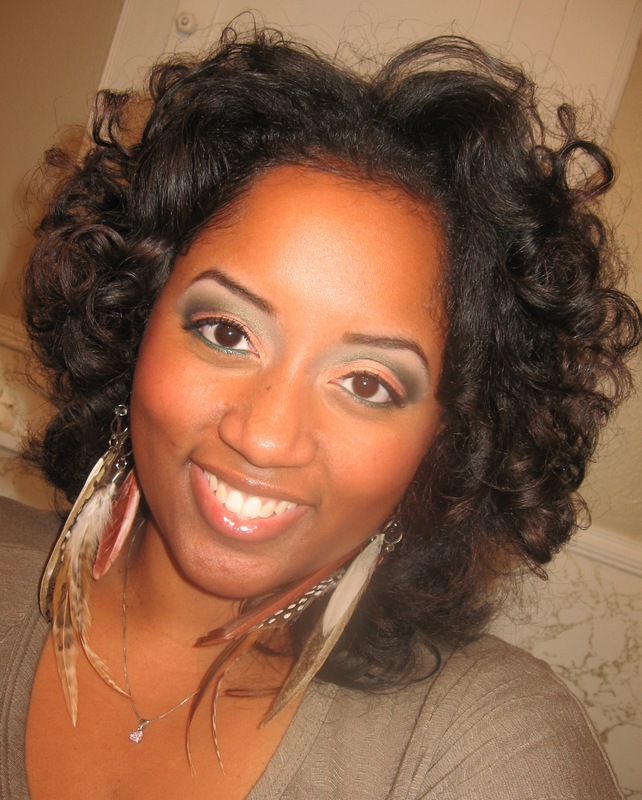 I also used Black Radiance Complexion Perfection Undereye Concealer (in CA8010for light to medium complexions). CHEEKS: I used Ulta single e/s in “Sparks” on the hollows of my cheeks & Black Radiance sheer finish blush in Soft Honey on the apples. What are your favorite 80s moments/ trends/ music/ phenomena? Modern-day athletes have been known to smear eye black across their cheeks to keep the glare of bright stadium lights from impairing their vision. 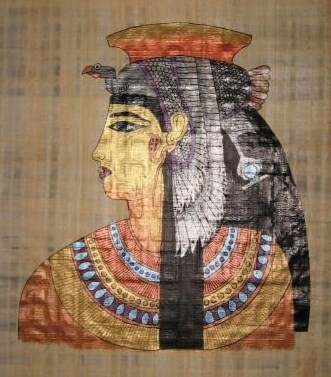 This practice can be traced all the back to Egypt, where they wore thick dark eyeliner to reduce the glare of the sun. Although glamorous chicks like us employ hata blockas to do that job, we can still appreciate the beauty of Egyptian inspired makeup. This look was RIDICULOUSLY simple. I only used 2 different eyeshadows. The “Egyptian flair” comes from winging the tips of my eyeliner. If you haven’t already, you should consider purchasing a cream or gel eyeliner (black) & a good liner brush. Kohl pencils are great, but they won’t give you the boldness of a cream liner. This look can also be recreated using black liquid liner, but the drawback with that is that you can only use it on your upper lashline. Liquid eyeliner + your waterline = frustration & black tears all over your cheeks. Just don’t do it to yourself, LOL! SHADOW: I covered my entire lower eyelid in NYX Ultra Pearl Mania in Yellow Gold pearl. Finally I used matte camel e/s (from the Wet N Wild Vanity palette) to highlight my brow bone. OTHER DETAILS… I used Wet N Wild Arch Envy brow wax & CoverGirl single e/s in Smolder to define my eyebrows & Maybelline Volume Express “Falsies” Mascara in Blackest Black on my eyelashes. 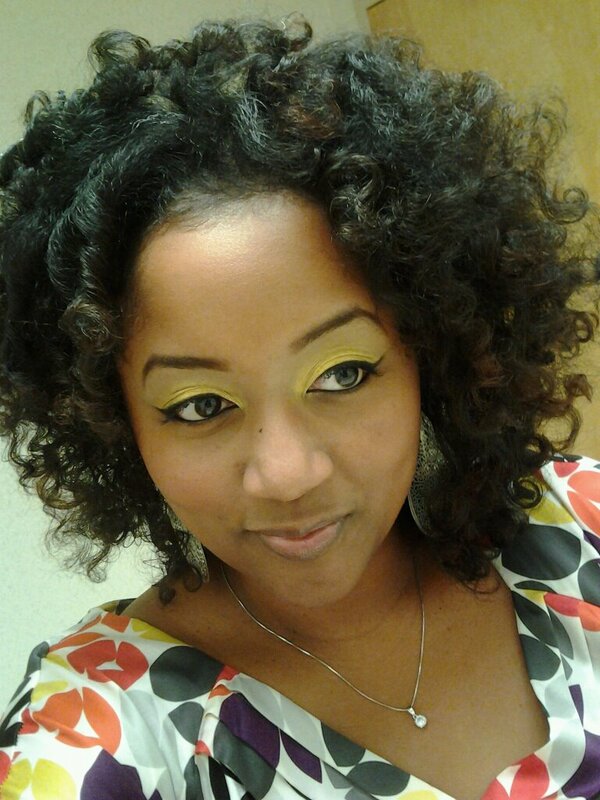 I winged my upper lashline & defined my waterline using Wet n Wild cream eyeliner in black. 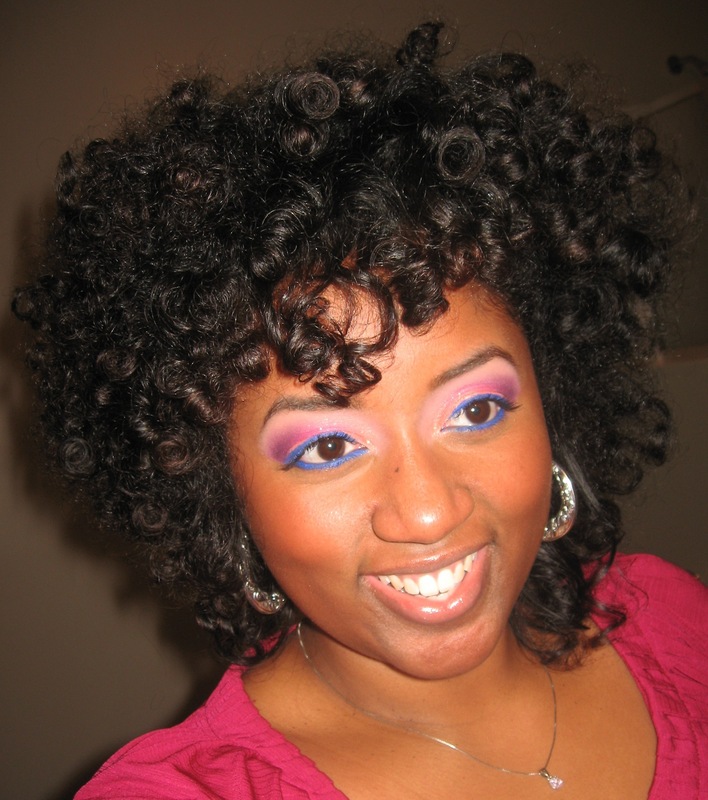 SN: I’ve been rocking the same curly fro since last Tues or Wed! Most nights I sleep in about 8 twists at night. 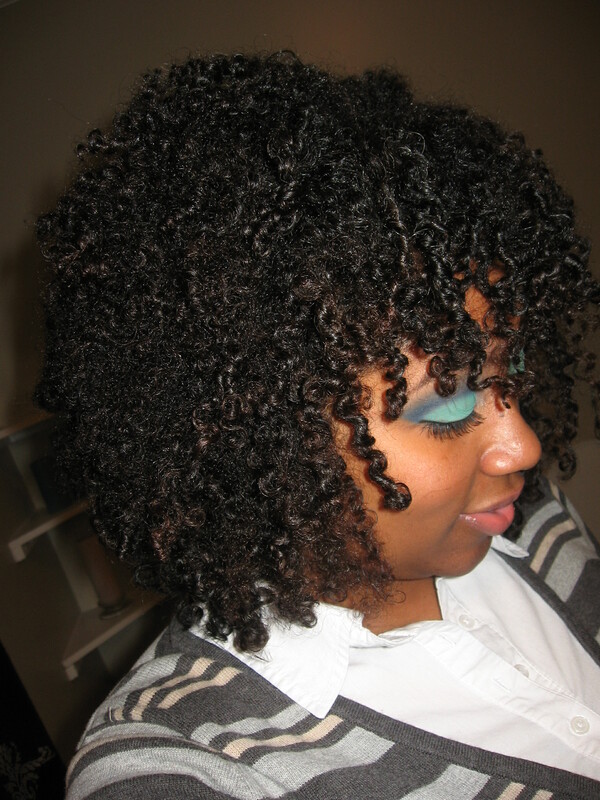 Some nights, my curls have stayed intact without even having to re-twist. In the morning I just separate fluff & go. 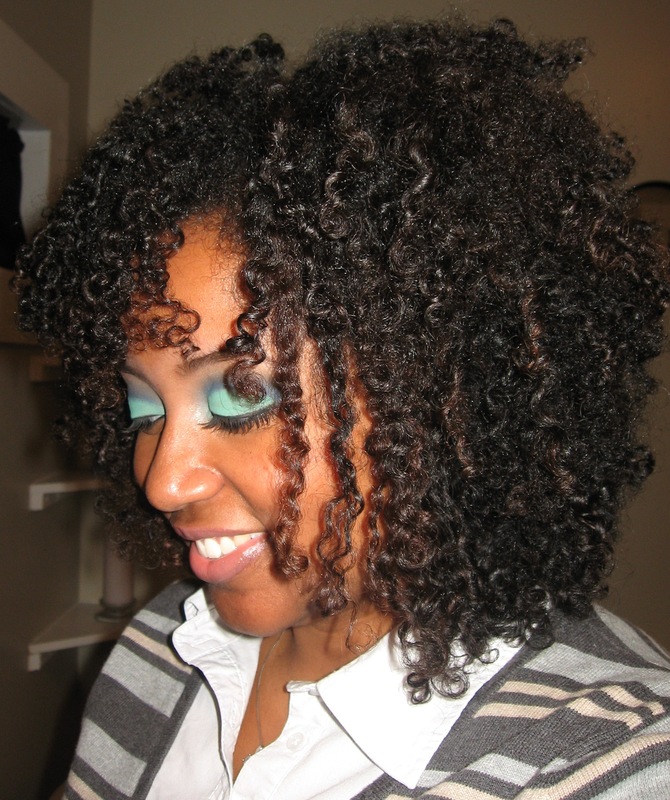 I love the volume & the ease of this style. Giovanni & I are deeply in love & yet I’m dreading hairwashing day… LOL! What’s your wig doing this week? 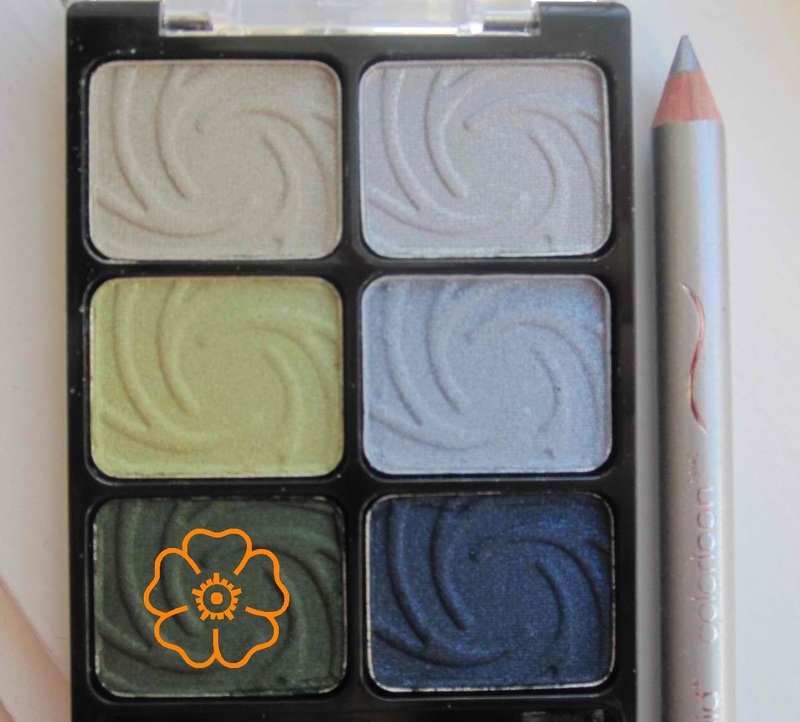 I haven’t done an Autumn inspired FOTD yet, so I felt that Thanksgiving was the perfect opportunity to embrace the colors of this season… ENJOY! SHADOW: I covered my entire lower eyelid in NYX Ultra Pearl Mania in Orange pearl. 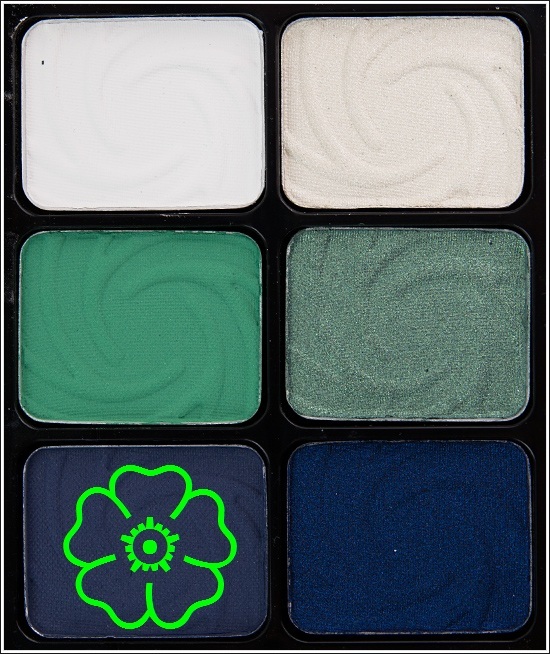 To create the cut crease, I used my pencil brush to draw a line along the crease of my eyelid in shimmery, dark green e/s (from the Wet N Wild Snow Sprite palette). 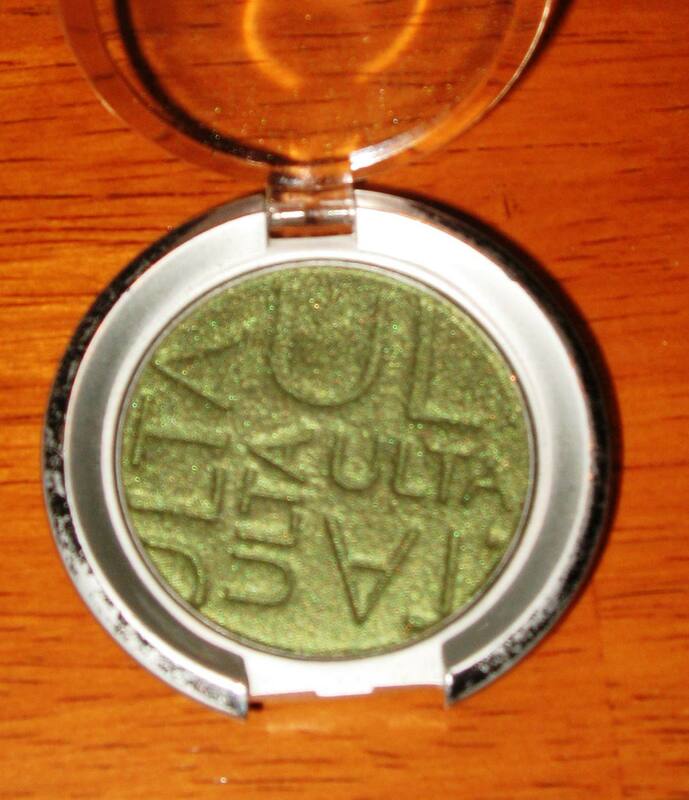 Then I used my Coastal Scents Italian badger hair crease brush to blend that line & fade the dark green e/s into a lighter shimmery green (Verdigris by Ulta). Finally I used matte camel e/s (from the Wet N Wild Vanity palette) to highlight my brow bone. OTHER DETAILS… I used Wet N Wild Arch Envy brow wax & CoverGirl single e/s in Smolder to define my eyebrows & Maybelline Volume Express “Falsies” Mascara in Blackest Black on my eyelashes. I defined my upper lashline with Wet n Wild cream eyeliner in black & my waterline with Ruby Kisses HD gel liner in “green shimmer”. 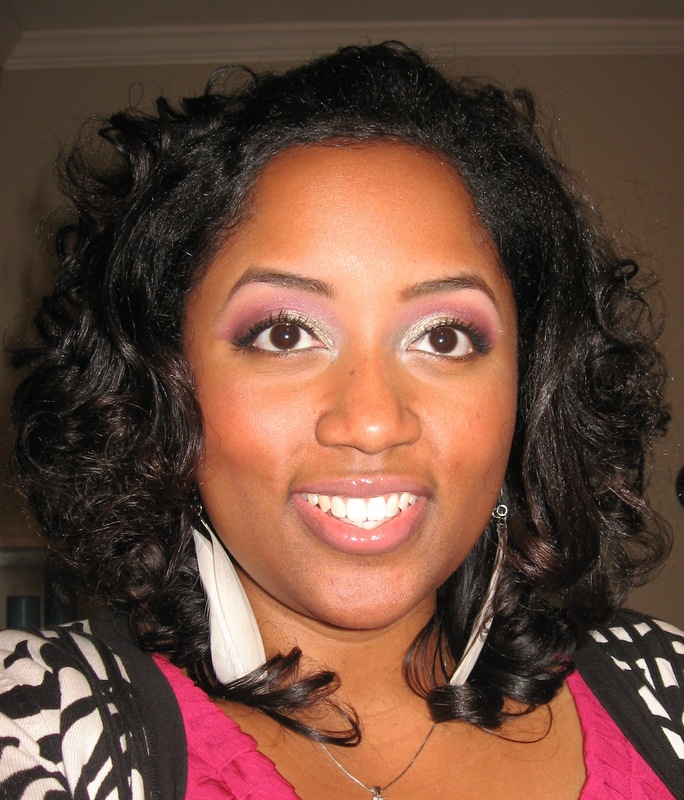 I also used Black Radiance Complexion Perfection Undereye Concealer (in CA8010 for light to medium complexions).